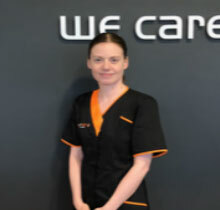 Our team at The Pet Vet Rotherham are always on hand to answer any questions or queries you may have about your pet. We pride ourselves on providing easy and affordable healthcare, to help you give your much loved pet the best care possible. 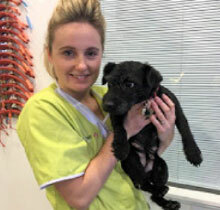 Holly qualified in 2017 by successfully gaining her BSC (Hons) degree in Veterinary Medicine, but has worked in practice for over 4 years. Holly spends her spare time with her 3 lurchers, family and friends. Niall qualified as a Veterinary Surgeon in 2018, and are pleased to have him as part of THe Pet Vet Team. 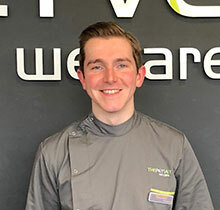 Niall is a local lad who grew up in South Yorkshire and trained at the University of Liverpool Veterinary Science, he has a particular interest in surgery. Outside work he spends time with his dog called Boo and keeps fit by doing Brazilian Jiu-jitsu! Izzy has a BSC in Veterinary nursing. She has a black cat names jaxx which she hand reared. She enjoys listening to music and socialising with her family and friends. 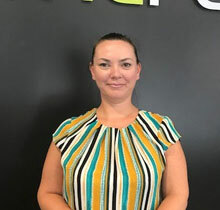 April joined us as a customer care assistant in July 2018. She has 4 sphynx cats. She enjoys bike riding, cat breeding, room escapes, ghost hunting and animal fostering. 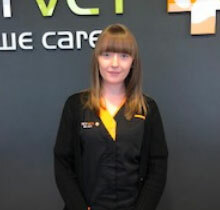 Emma has always had a great interest in animals and their care and carried out work experience at The Pet Vet. 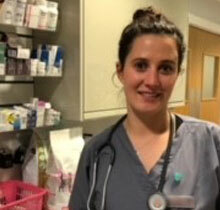 She then started working fulltime to follow her goal of becoming a Registered Veterinary Nurse. 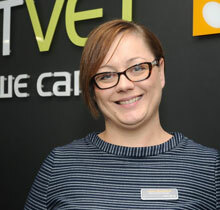 Emma has always lived in Rotherham and has a rabbit called cookie, and a hamster named Pickle. Emma is a bubbly person and enjoys spending time with her pets, family and friends in her spare time. 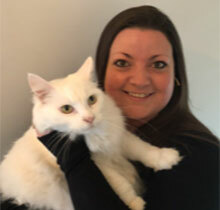 Cat has worked in the veterinary industry since 2004 and has gained a lot of experience in the all aspects of nursing and joined The Pet Vet in 2015. When not at work she enjoys spending time with her 8 year old son and her 3 dogs. She also has a horse called Louis and enjoys schooling him, hacking out, attending local shows and dressage tests. Alex has 20 years customer service experience. She lives at home with her cat called Macy and in her spare time enjoys watching sports, weekends away and socialising with friends. 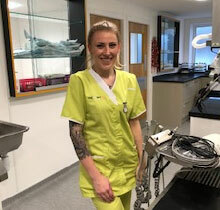 Jess joined The Pet Vet in December 2017, she has always worked with animals. Jess lives at home with her 6 cats, 3 dogs and 2 horses. The majority of her spare time is walking her dogs, socialising with friends and family and horse riding. 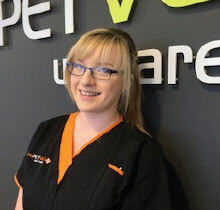 Lauren joined The Pet Vet in September 2017, she has over fours years experience working in customer services. She has two cats who are both adored very much. In her spare time she likes to socialise with family and friends. 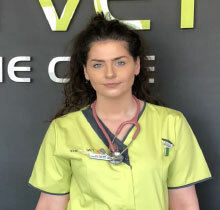 Verity joined The Pet Vet in early 2018. 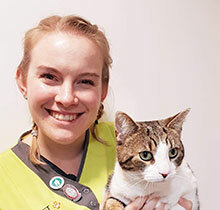 She has studied many animal courses and being an RSPCA volunteer and is now in her second year of veterinary nursing studies. Verity loves camping and looking after her two nephews. She also lives with her two dogs and 5 month old tortoise. 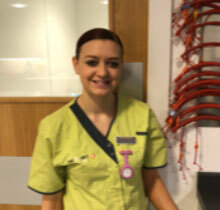 Sophie leads the nursing team! She has got a degree in veterinary nursing and is also clinical coach to the students. She lives with three dogs (one of which she hand-reared) and two tortie cats. She is a passionate vegetarian. 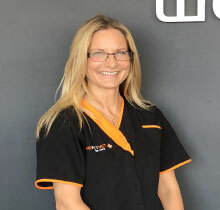 Sophie has a slight obsession with Tiger’s and her hobbies include keeping fit by going to the gym and enjoys pole fitness, playing the keyboard and socialising with friends and family. 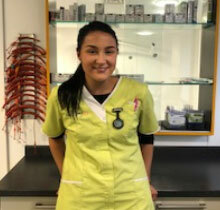 Mara graduated in 2011 at the Veterinary Medicine University of Bucharest. She has a 6 year old Golden retriever female named Fluffy and had a Sphynx cat named Joe. 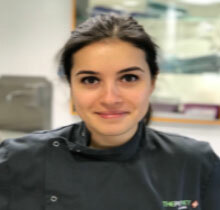 Mara enjoys travelling, listening to music, learning foreign languages, although she can already speak english, french, spanish, italian and a little bit of german.